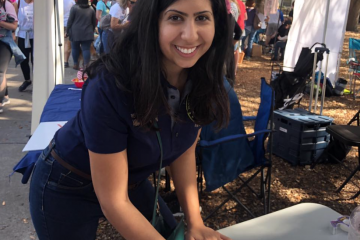 Riding what arguably has been a movement based entirely on her campaign, Democratic Anna Eskamani won election Tuesday to Florida’s House District 47, flipping the seat and sending the progressive avenger to Tallahassee. 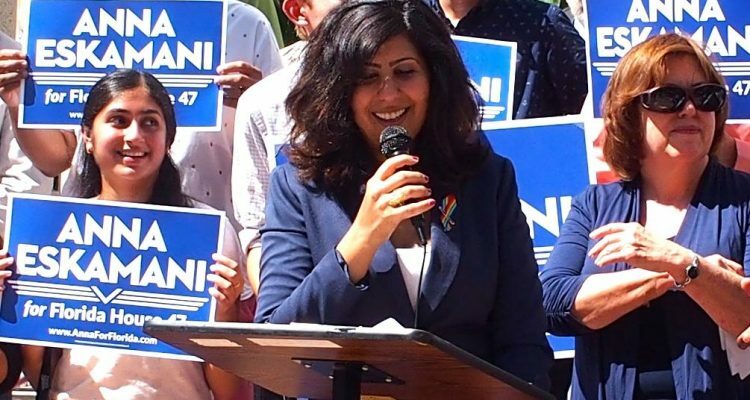 From the very start her campaign broke molds and eventually set records as Eskamani brought her unabashedly-liberal platform and legions of supporters from the Orange County progressive community she had helped lead for several years as an activist. HD 47 might be a purple district, leaning just four points Democratic in voter registration, but she campaigned for the deep-blue votes to be found in the urban neighborhoods around downtown Orlando, while also reaching out to the traditionally more-Republican neighborhoods in Winter Park and the south Orange County suburbs of Belle Isle and Edgewood. Reeves and the Republican Party, meanwhile, hammered her as a “radical” and cast him as a moderate, to no avail. 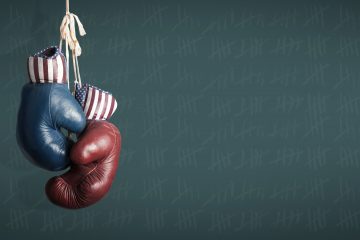 Eskamani, 28, of Orlando, raised more than a half-million dollars for her campaign and attracted national attention in numerous ways, starting with appearing on Time Magazine’s cover in January as one of the women’s march “avengers” set out to redefine politics from a woman’s perspective, and ending last week with features playing on youth-oriented shows on MTV News and Vice News. She also pushed her own story, the daughter of Iranian immigrants who’d worked hard and sacrificed to achieve the American Dream for their children, and how she became committed to public service after her mother died from cancer. 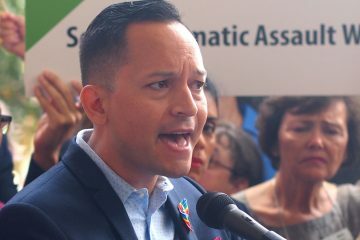 In winning, Eskamani joins two other unapologetic progressive Democrats, state Reps. Carlos Guillermo Smith and Amy Mercado, who also easily won Tuesday, with a platform locked into women’s rights, gay rights, gun law reform, public education funding, minimum wage increases, and declaration of health care as a right for all.